We take groups of people on short-term, usually three week, summer projects. The teams consist of all ages, backgrounds and skill levels, and do a mix of practical work and spiritual mission. If your Church, cell group, Christian union, school or work colleagues are looking for ways in which to enrich your experience of God's love, then this may be the opportunity for you. What will you experience? Different culture, language, food and location. The chance to experience a totally new environment. See how God is working in this very different environment. Not only in the local community, but also in you! Satisfaction in knowing that you have worked on a worthwhile project in one of the project countries. 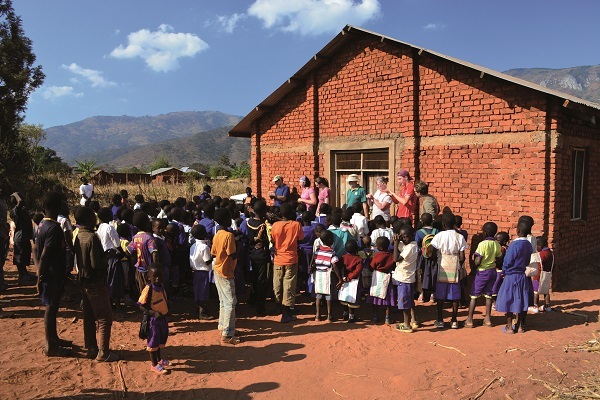 Practical work in the past has included building of a feeding centre, a church and a school. You will also learn a lot from the local people. Often their testimonies of faith under difficult circumstances have a life changing effect! Find out more about previous short term teams. Download our Summer Team flyer. 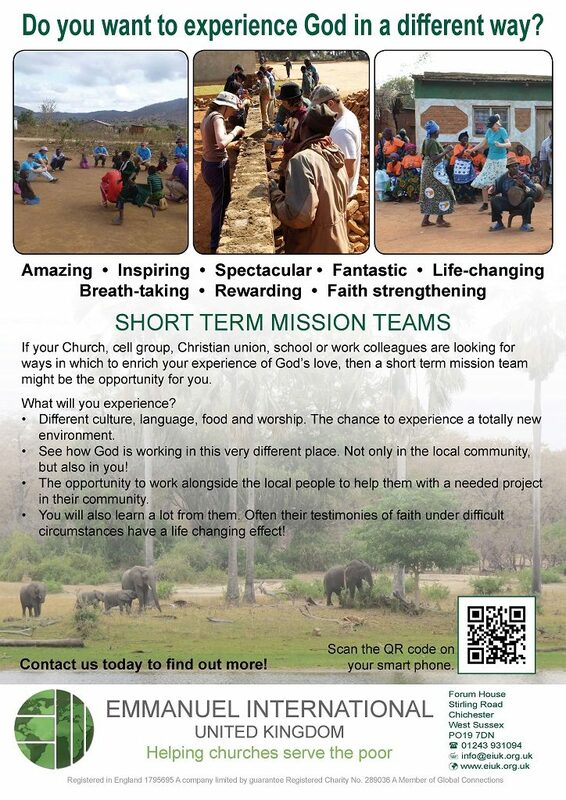 Feel free to share with others who may be interested in an amazing adventure and growing their faith. We would love to see if EI is the right organisation to help your group to do a short term trip, or explore other opportunities to make a difference. Contact the office to discuss the possibilities. Can I join one of the existing groups this summer? Is my age an issue? We have taken groups that consisted of people aged 17 to 75 before. Age is not a concern for us when considering your chances of going out with the team. Isn’t this kind of thing a bit risky? It can be. But most things in life worth discovering involve a risk element! If you DON’T want your faith stretched, your lifestyles challenged, your eyes opened and your heart touched – you had better stay at home! Having said that, we are very careful to make sure that we have carried out a “risk assessment” for each location. We are also in regular contact with the Foreign Office in London who advise us on travel and security. Our Team Leaders are well briefed on Health and Safety issues and we have a clearly defined Child Protection Policy. You will be attending an ‘Orientation Weekend’ during which you will be prepared for the experience. You may also contact the office with your burning questions at any time before making an application, after being accepted and before/after the training has taken place. We also have an emphasis on “Aftercare” when people get back.